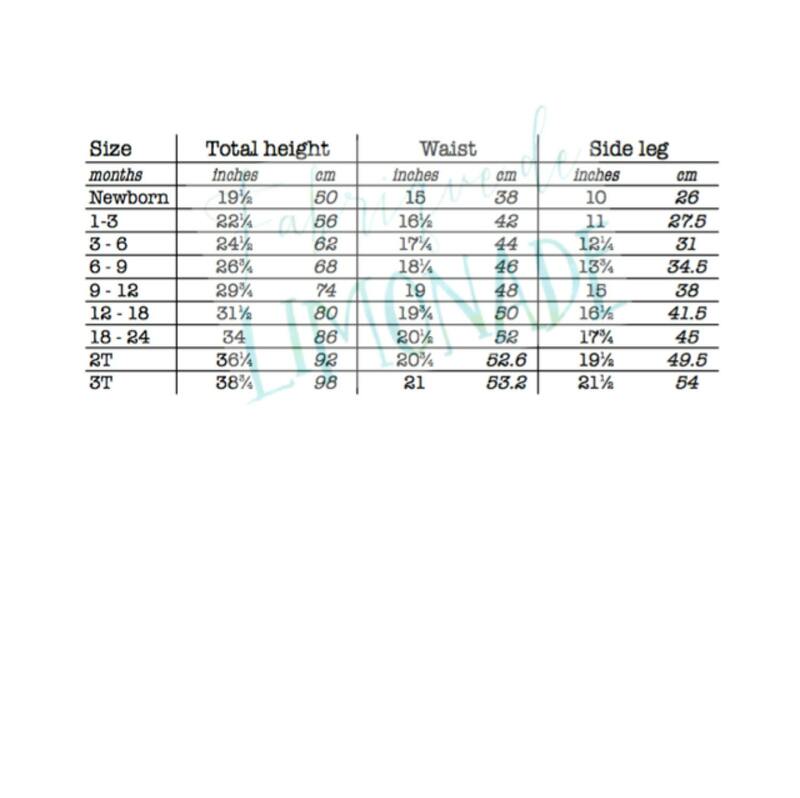 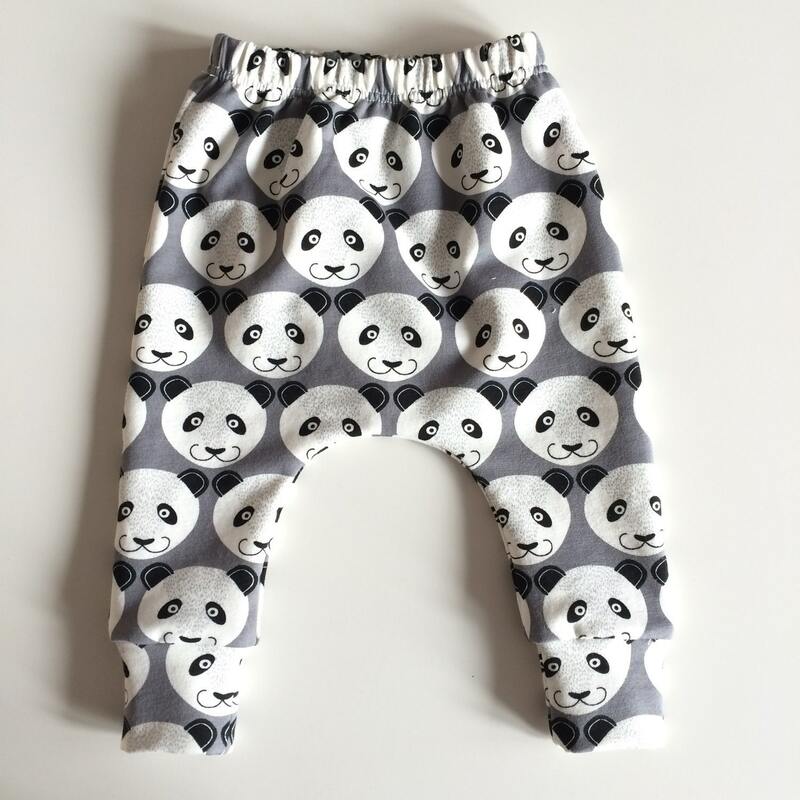 These harem pants are made of comfortable sweat fabric, which is a bit thicker than jersey knit and very soft on the inside. 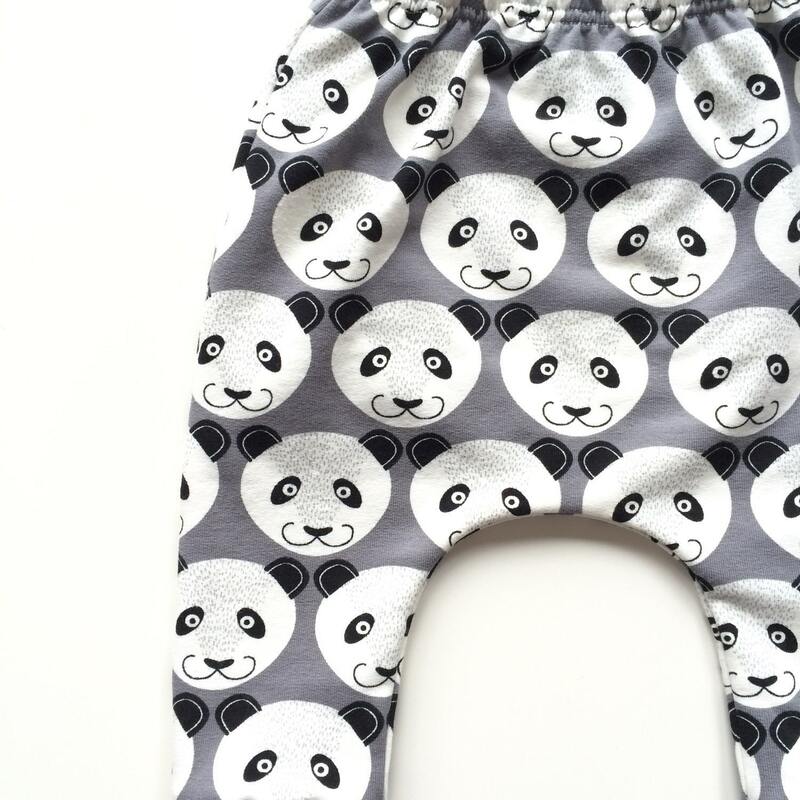 These pants sure will look cute on the little one in your life! 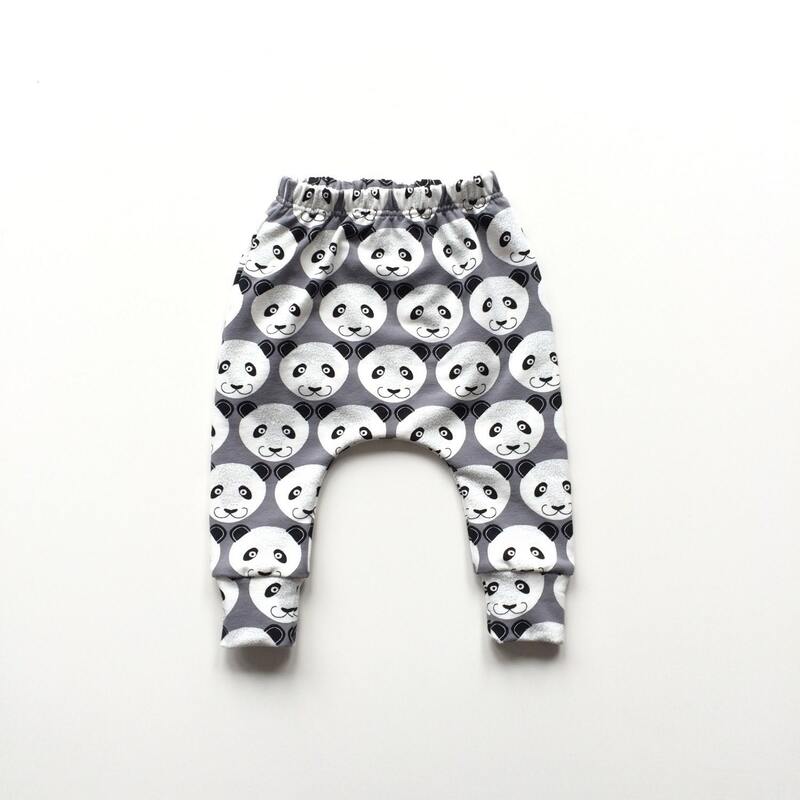 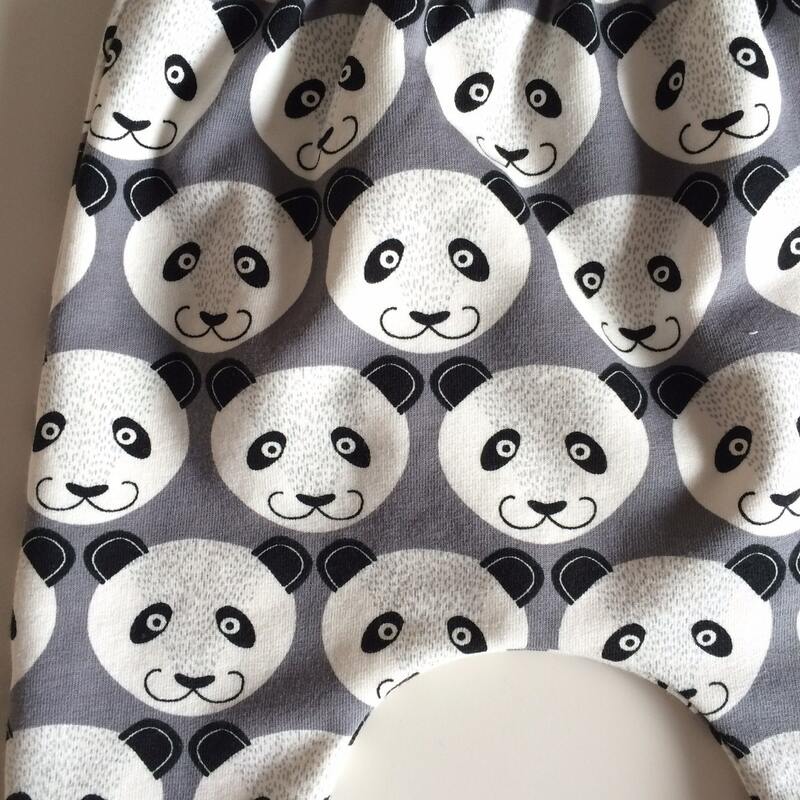 The gray cotton fabric features smiling pandas, and the cuffs are made of the same fabric.